Properties in Rafting in the Smokies average 4.5 out of 5 stars. VICTORIAN CHALET OVERLOOKING GATLINBURG, SLEEPS UP TO 7. 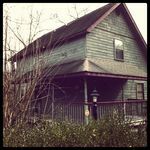 Property 2: VICTORIAN CHALET OVERLOOKING GATLINBURG, SLEEPS UP TO 7. Great seasonal rates - stay in your own Alpine Chalet !! Property 3: Great seasonal rates - stay in your own Alpine Chalet !! Property 6: Honeymoon/Anniversary Or Family Getaway. Lazy Bear Den with its floor plan makes it a perfect family or couples getaway. Recently upgraded. Property 7: Lazy Bear Den with its floor plan makes it a perfect family or couples getaway. Recently upgraded. Beautiful Chalet incredible Viiew with Pool, Sauna 1 mile from Ober Gatlinburg. Property 8: Beautiful Chalet incredible Viiew with Pool, Sauna 1 mile from Ober Gatlinburg. Perfect Couple's Smoky Mountain Retreat! Great Views; Borders GSMNP! Property 9: Perfect Couple's Smoky Mountain Retreat! Great Views; Borders GSMNP! It’s time to make some Mountain Memories!!! Book your summer dates now!! Property 10: It’s time to make some Mountain Memories!!! Book your summer dates now!! Mtn. Chalet With A Tranquil Setting - Close To Everything! Property 11: Mtn. Chalet With A Tranquil Setting - Close To Everything! Come to the clouds mountain chalet, rest, relax, and enjoy. Property 12: Come to the clouds mountain chalet, rest, relax, and enjoy. Living Color Location, location, location!!!!!! Property 14: Living Color Location, location, location!!!!!! !!!LOOK!!! Special nightly rate———Come visit the Smokies this New Year. Property 17: !!!LOOK!!! Special nightly rate———Come visit the Smokies this New Year. Decorated Lord of Rings Theme. View all year round. 3 Miles from Gatlinburg. Property 22: Decorated Lord of Rings Theme. View all year round. 3 Miles from Gatlinburg. $500 SPECIAL FOR ANY 3 NIGHTS LEFT IN APRIL SO BOOK NOW BEFORE DATES ARE GONE!!! Property 24: $500 SPECIAL FOR ANY 3 NIGHTS LEFT IN APRIL SO BOOK NOW BEFORE DATES ARE GONE!!! Discover this gorgeous, pet-friendly Gatlinburg cabin with 2 BR/2BA each with separate Jacuzzi tub. 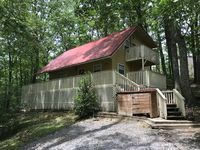 Property 25: Discover this gorgeous, pet-friendly Gatlinburg cabin with 2 BR/2BA each with separate Jacuzzi tub. "Her Majesty Way" has the most Breathtaking Views overlooking Gatlinburg! Property 26: "Her Majesty Way" has the most Breathtaking Views overlooking Gatlinburg! Cozy Retreat in the woods! Close to the Parkway and shows! Property 31: Cozy Retreat in the woods! Close to the Parkway and shows! Lovely Chalet In Fabulous Location!! 5 Minutes to "The Island!" Property 32: Lovely Chalet In Fabulous Location!! 5 Minutes to "The Island!" View Mt. Le Conte & watch the tram go by at Bear Alley! Property 34: View Mt. Le Conte & watch the tram go by at Bear Alley! AMAZING VIEWS ALL THROUGHOUT THE CABIN! Property 37: AMAZING VIEWS ALL THROUGHOUT THE CABIN! "Serenity Heights" Awesome Views, $285.77 in free area attractions Tickets per paid night. Property 40: "Serenity Heights" Awesome Views, $285.77 in free area attractions Tickets per paid night. Ask us about Spring Discounts! 2 Miles to Gatlinburg & the National Park! Property 44: Ask us about Spring Discounts! 2 Miles to Gatlinburg & the National Park! Great vacation home for family trip! This cabin was in the perfect location. We visited with friends, plenty of space for everyone. Beds were so comfortable. The kids loved the theater and arcade. Close to the parkway but not right in town. We couldn't have asked for more. This chalet was wonderful! Quiet, cozy, and close enough to Gatlinburg for a quick drive. It is located just outside the entrance to Ober Gatlinburg so the 1st night we ride the tram round trip into Gatlinburg. Let me tell you, riding back up in the dark gave us a spectacular view of Gatlinburg. Everything in the chalet was perfect for us to enjoy a girls weekend. The hot tub was very relaxing and private. Plenty of parking space for 3 cars. We all hated to leave and go back to the reality of home.